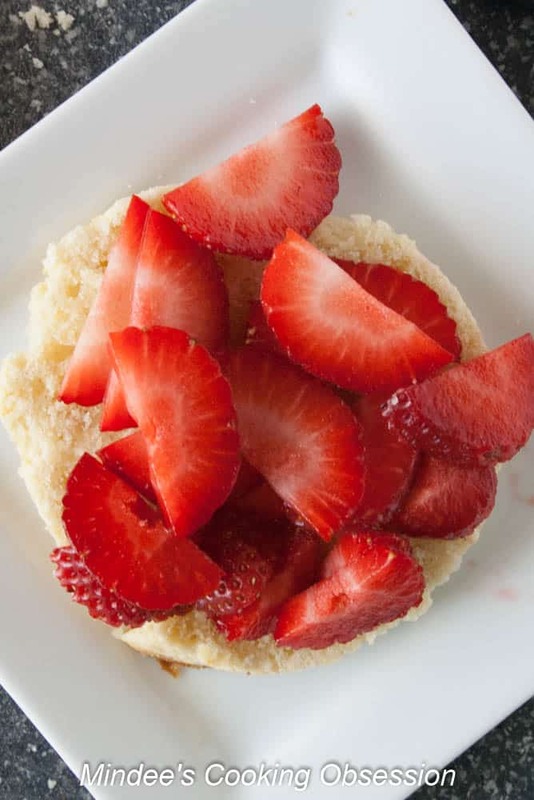 Can you really have strawberry shortcake for breakfast? Absolutely!!! 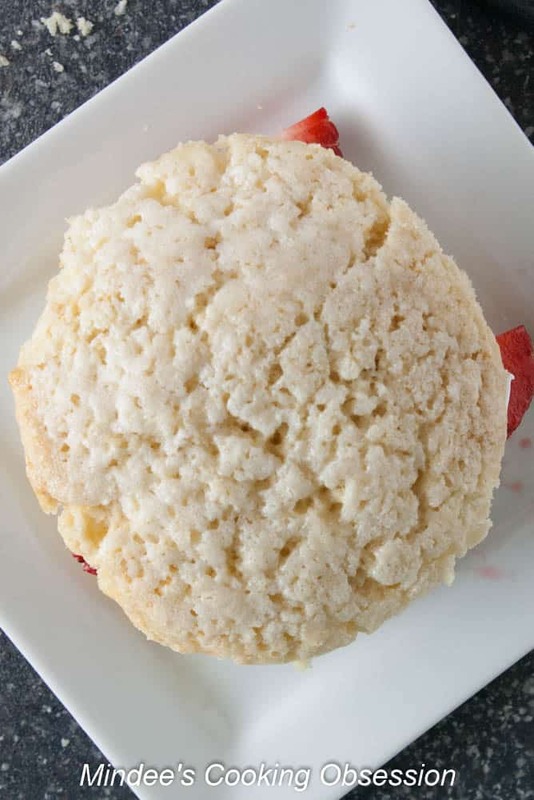 Try this breakfast strawberry shortcake! It’s a great way to start your day! 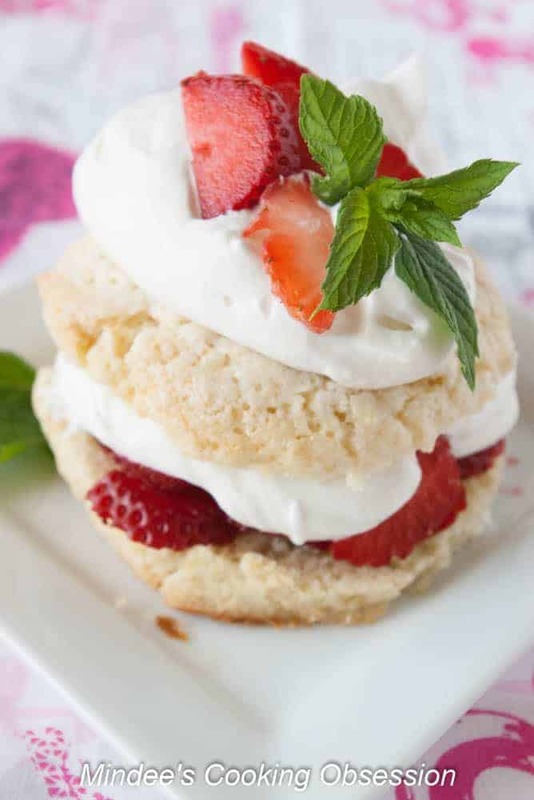 How pretty is this breakfast strawberry shortcake!!! Almost too pretty to eat! Almost…I can tell you it is just as tasty as it is pretty. Also it is quick to make. That is always a plus especially when it comes to breakfast. I used my recipe for Sweet Breakfast Biscuits for this recipe. 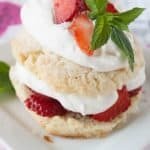 I usually serve these sweet biscuits alone, but the idea of strawberry shortcake for breakfast was too genesis to pass over! It is definitely a keeper! Preheat the oven and line some cookie sheets with parchment or spray them with non-stick cooking spray. If you have parchment, it is really the way to go for these. Mix up the dough according to the recipe instructions. 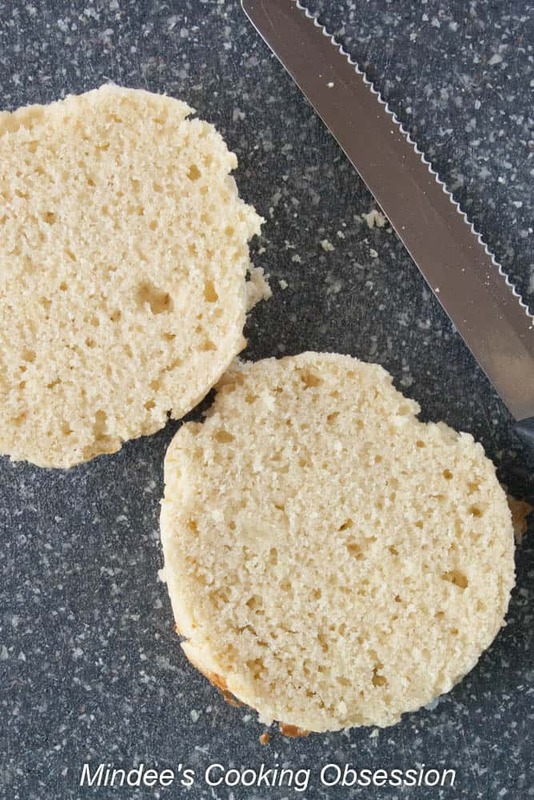 Pat it out on a lightly floured surface with lightly floured fingers until it is a little more than a 1/2 inch thick. 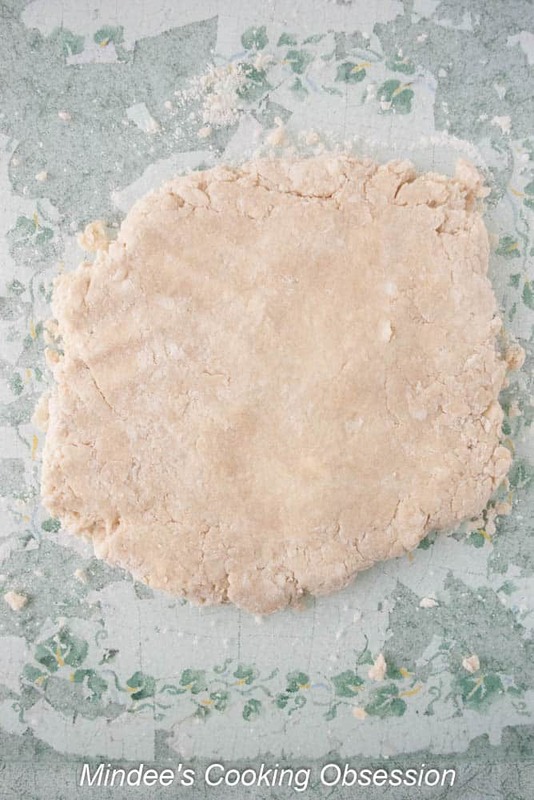 Use a 2 1/2 inch biscuit cutter to cut out about 10 biscuits. Place the biscuits on the prepared pan and brush the tops with heavy cream. 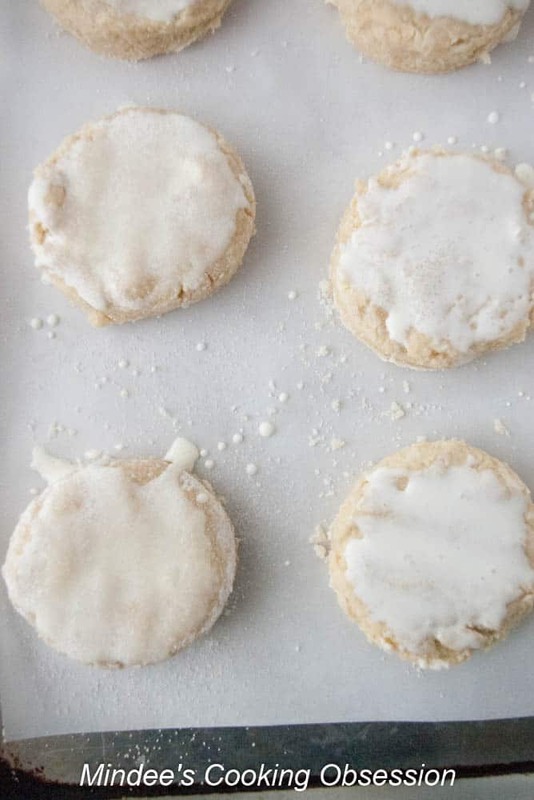 After the tops have been brushed with the cream, sprinkle the tops generously with granulated sugar. Bake at 400 degrees for 18-20 minutes. The bottom edges should be slightly golden. Cool on a wire rack until the biscuits are near completely cool and prepare the strawberries and whipped cream. Carefully slice the biscuits in half. Top with the top half of the biscuit. 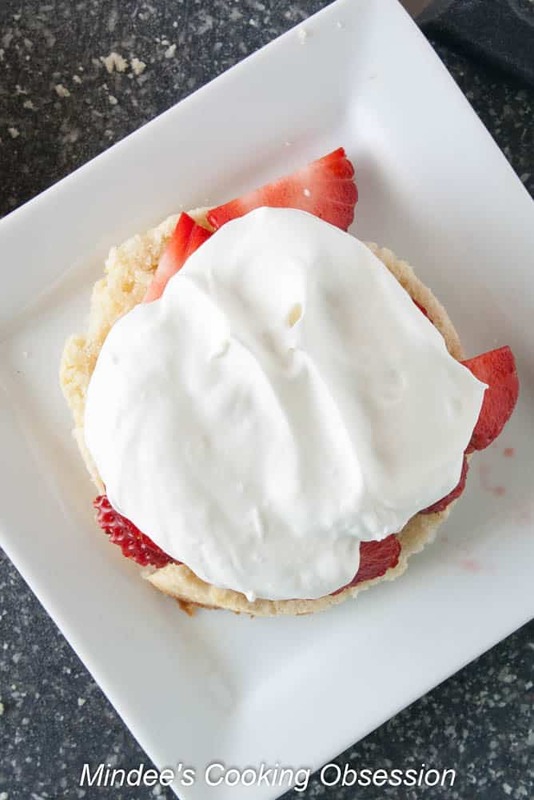 Add more whipped cream and strawberries to the top and serve! Preheat the oven to 400 degrees and line a baking sheet with parchment or spray with non-stick cooking spray. In a mixing bowl or in a food processor, whisk together the flour, sugar, and baking powder. Cut in the butter until well blended. Stir in the heavy cream, egg, and vanilla. Once the dough comes together dump it out on a lightly floured surface and pat it to a little more than 1/2 inch thick. This dough may be a little sticky. Lightly flouring your fingers may help. 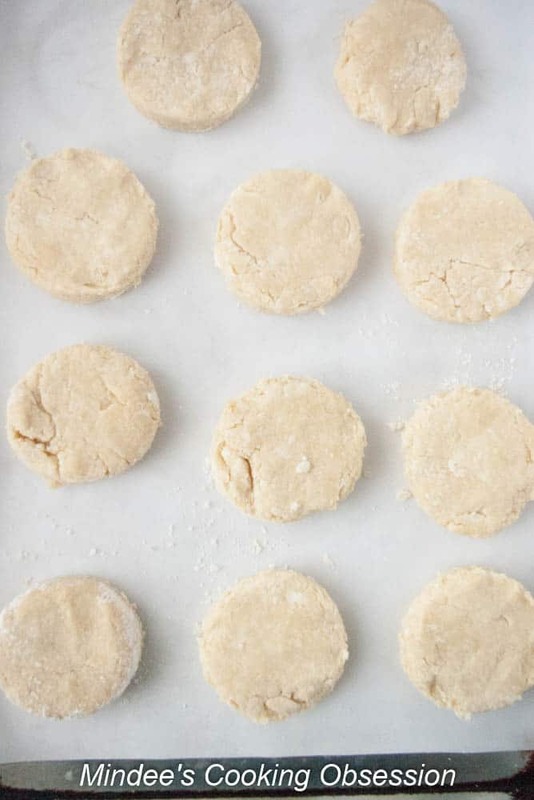 Cut out the biscuits with a 2 1/2 inch biscuit cutter and place them on the prepared baking sheet. Brush the tops of the biscuits with the 1/4 cup of heavy cream and generously sprinkle the top of the cream with the sugar. Bake at 400 degrees for 18-20 minutes. The bottom edges should be golden brown. Cool on a wire rack until almost completely cool. Prepare the strawberries and whipped cream. Slice the strawberries thinly. Set aside. Beat the 2 cups of heavy cream, vanilla, and powdered sugar until stiff peaks form. Carefully slice the cooled biscuits in half. Top the bottom half with sliced strawberries followed by a dollop of whipped cream. Top with the top of the biscuit. Top with additional strawberries and whipped cream. This recipe calls for a total of 3 cups Heavy Whipping Cream. I have divided it up throughout the recipe according to the amounts you use as you go. This is so good and refreshing and not just for breakfast! !